For the queer, the stylish, the straight, the millennials. We travel to see, to learn, to do and to think. We travel both far and near. We travel with an open mind, an eagerness to discover the world we live in. We travel with a desire to get lost and maybe to find something in the process. We travel to meet new people—fellow travelers and locals alike—who can introduce us to new ideas, new things, new adventures. We travel with respect, compassion, and understanding for others. The site receives over 125,000 unique visitors (at over 200,000 pageviews) per month from 150+ countries with over 75,000 social media followers and 18,000+ email subscribers. Readers are modern, open-minded, socially responsible individuals (millennials) with a very strong interest in city destinations. 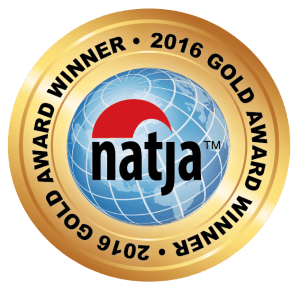 In 2017, Travels of Adam was awarded the Gold Medal for Best Online Travel Series by the North American Travel Journalists Association (NATJA) for a series of Hipster City Guides. The website was also awarded the Lowell Thomas silver prize for Best Travel Blog by the Society of American Travel Writers Foundation (SATWF). In 2016, Travels of Adam was named one of the 10 best websites for 2016 (2016, Wirtschafts Woche), one of the 7 best travelers to follow on Instagram (2014, Yahoo! Travel), was a finalist for the Best LGBT Blog (2013, Bloggies Award) and syndicates select content to additional news sites. Adam’s popular series of hipster city guides are globally recognized as a top resource for “hipster holidays” (2015, World Travel Market study). Buy display advertising on travelsofadam.com here. The website has been featured in The Guardian, Metro Newspapers (UK, USA), AFAR. com, Buzzfeed, The Scotsman, Wired Magazine Germany, YNet News, Men’s Health Magazine, Vogue Italia, Cosmopolitan Slovenia, ELLE España, Conde Nast Traveller España, The Huffington Post and Die Berliner Zeitung among many others. Sign up at this link for instant access to the 2016/2017 Travels of Adam Media Kit and advertising rates. By signing up, you’ll also be alerted to future press releases and announcements. You can unsubscribe at any time. While you can find a lot more information about Adam on the About Travels of Adam page, here’s the gist: Adam quit his corporate job in Boston as a graphic designer for a major international book publisher in 2010. For the next 15 months, he traveled around the world, visiting Europe, North Africa, the Middle East, India and Southeast Asia before ultimately making a permanent move to Berlin, Germany. To view all of Adam’s active social media networks, visit the Contact page. Are you a member of the press and interested in occasional news/PR updates from Travels of Adam? Sign up at this link for exclusive press releases. You won’t be bombarded with updates except when there is news to share. View previous press releases here.